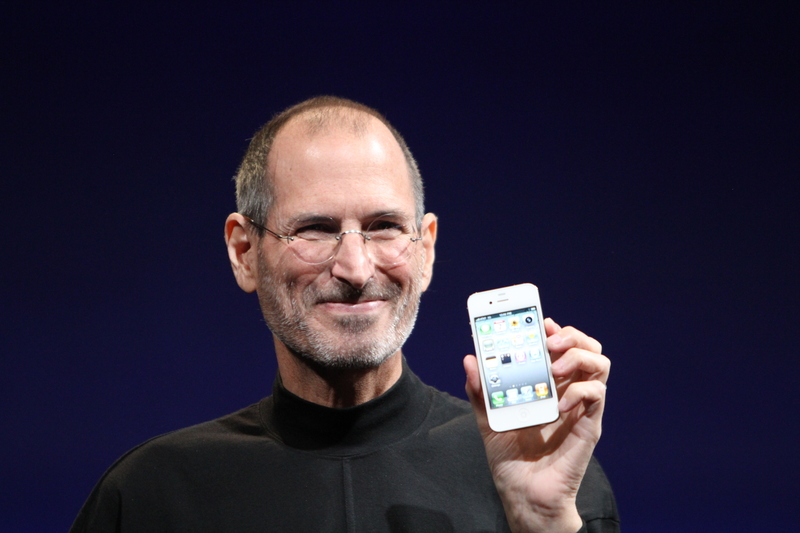 On January 9, 2007, Steve Jobs, the enigmatic co-founder and CEO of Apple, Inc., introduced the first iPhone to the world. The device quickly revolutionized the smartphone industry and changed what consumers came to expect from their phones. In the years since, smartphones have changed from being regarded as status symbols (Apple sold close to 1.4 million iPhones during their first year on the market) to fairly commonplace and essential tools. One out of every five people in the world now owns a smartphone, there are more smartphones in use in the world than PCs, and it is difficult for many young people to imagine how anyone ever managed to function without them. If you consider the relatively high cost of these devices, this transformation has been truly remarkable. Much of this shift in attitude can be credited to the impressive use of tactics of persuasion employed by smartphone manufacturers like Apple and Samsung. The typical marketing campaign for a new model of an iPhone delivers a carefully crafted message that cleverly weaves together stories, visuals, and music to create an emotional experience for the viewing public. These messages are often designed to showcase the range of uses of the device and to evoke a sense of need. Apple also strives to form relationships with its customers, something that is illustrated by the fact that 86 percent of those who purchased the iPhone 5S were upgrading from a previous model. This strategy has benefited Apple tremendously as it has sold over 400 million iPhones since 2007, making it one of the wealthiest companies in the world. Sources: Borchers, T. A. (2013). Persuasion in the media age (3rd ed.). Long Grove, IL: Waveland Press. One of the most central concepts in social psychology is that of attitudes (Banaji & Heiphetz, 2010). In this chapter, we will focus on attitude formation, attitude change, and the influence of attitudes on behavior. We will see that attitudes are an essential component of our lives because they play a vital role in helping us effectively interact with our environment. Our attitudes allow us to make judgments about events (e.g., “I don’t mind waiting in a queue for these concert tickets”), individuals (e.g., “I really admire the Dalai Lama”), social groups (e.g., “I love my university”), and many other things. We will begin our discussion by looking at how attitudes are defined by the ABCs of social psychology—affect, behavior, and cognition—noting that some attitudes are more affective in nature, some more cognitive in nature, and some more behavioral in nature. We will see that attitudes vary in terms of their strength such that some attitudes are stronger and some are weaker. And we will see that the strength of our attitudes is one of the determinants of when our attitudes successfully predict our behaviors. Then we will explore how attitudes can be created and changed—the basic stuff of persuasion, advertising, and marketing. We will look at which types of communicators can deliver the most effective messages to which types of message recipients. And we will see that the same message can be more effective for different people in different social situations. We will see that persuasive messages may be processed either automatically (i.e., in a rather cursory or superficial way) or thoughtfully (with a greater focus on the argument presented) and that the amount and persistence of persuasion will vary on the processing route that we use. Most generally, we will see that persuasion is effective when the communication resonates with the message recipient’s motivations, desires, and goals (Kruglanski & Stroebe, 2005). Because the ABCs of social psychology tend to be consistent, persuasive appeals that change our thoughts and feelings will be effective in changing our behavior as well. This attitude consistency means that if a company can make you think and feel more positively about its product, then you will be more likely to buy it. But attitude consistency works in the other direction too, such that when our behaviors change, our thoughts and beliefs about the attitude object may also change. Once we buy a product, we will find even more things to like about it, and our attitudes toward the company behind the product will become even more positive. Although this possibility is less intuitive and therefore may seem more surprising, it also follows from the basic consistencies among affect, cognition, and behavior. We will discuss two theories—self-perception theory and cognitive dissonance theory—each of which makes this prediction but for different reasons. Kruglanski, A. W., & Stroebe, W. (2005). The influence of beliefs and goals on attitudes: Issues of structure, function, and dynamics. In D. Albarracín, B. T. Johnson, & M. P. Zanna (Eds. ), The handbook of attitudes (pp. 323–368). Mahwah, NJ: Lawrence Erlbaum.